Her pups nodded and twitched their whiskers, impatient to begin the fun. They jostled each other, eager to get started. Why did their mother always have to have rules? With that, the gopher pups were off kicking up dust and disappearing into the hillside. “Come back before dark!” she called after them. The mother could still hear them even though they were underground giggling and furiously digging. She smiled to herself, remembering the excitement of her first tunneling days. Oh what fun! She relaxed a bit and grew content, thinking she would see her pups again in a few hours. They were too young to stay away for too long. Until then, peace and quiet! 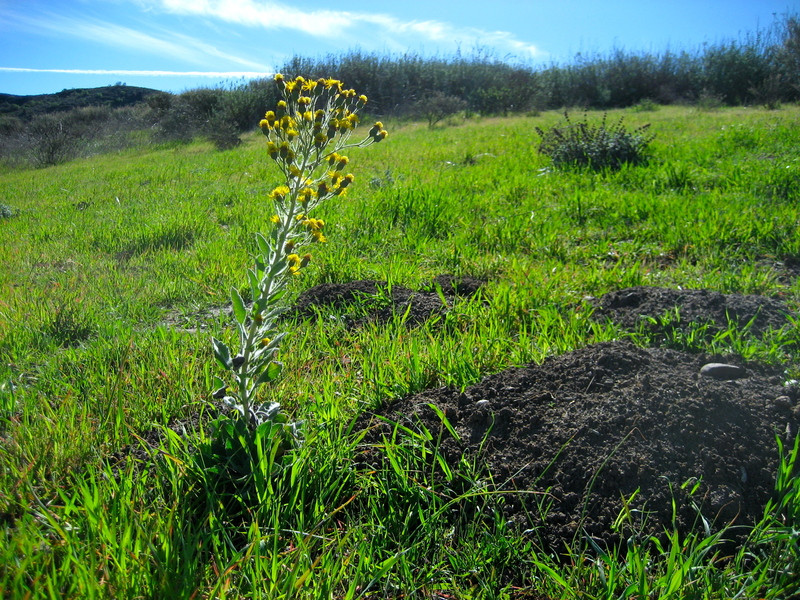 Thank you Weed Flower, for being the marker that helped keep the gopher family safe.